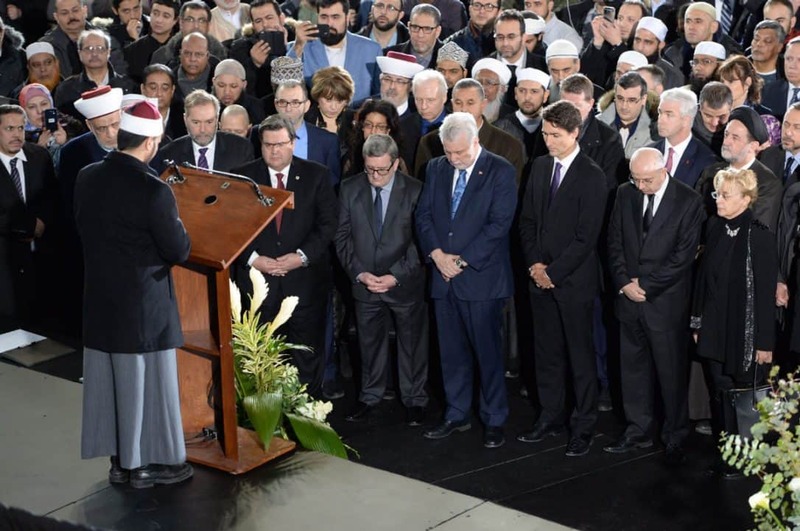 The premeditated and cold-blooded murders committed by Alexandre Bissonnette at the Quebec Islamic Cultural Center left six sons, brothers, husbands and fathers dead, and nineteen others wounded. Bissonnette has been charged with first-degree murder (six counts), as well as five counts of attempted murder. Shockingly, he has not been charged with terrorism. It is indisputable that the 27 year old indeed committed an act of terrorism when he entered the Islamic Center during the night prayer and opened fired on innocent worshipers. Bissonnette, believed to be a ‘lone wolf’, is termed a murderer rather than a terrorist. Of course, he is both. Such classification would not be so limited if he were a Muslim who soberly enters a church and murders Christian worshipers while wounding countless others. It would be newsworthy for weeks on end and the massacre would be termed a terrorist attack without a doubt. Xenophobia and the marginalization of Muslims is spreading like wildfire in North America and Canada. The Muslim populations in both countries are beleaguered by Islamophobia, racist rhetoric and increasing violence. The promotion of false characterizations and stereotypes about Muslims by the media adds fuel to the fire. An inferno is now burning and leaving communities charred by injustice and disillusionment, yet there still exists a desire to move forward. At this juncture, it is necessary for Muslim Quebecois, and Muslims in general, to understand and acknowledge the reality of the current Muslim experience. It is clear that many political groups and organizations are actively supporting and promoting an anti-Muslim agenda with Islamophobia as its foundation. Therefore, Muslims must become pro-active in communicating with their neighbors, building interfaith organizations, and prepare to struggle in defense of their basic human rights. There is no getting around it. “Say their names”, a practice started in the Black Lives Matter movement in an attempt to humanize those victims killed in senseless murders and terror. So here we say sixty years old Khaled Belkacemi was a Canadian Algerian and a Laval University professor. Azzedine Soufiane owned a local halal restaurant located in the suburbs of Sainte-Foy and was an active community member known for helping others. Forty-one year old Abdelkarim Hassane was a government programming employee with three children who now live with the reality that their father is not coming home. Two West African men, Mamadou Tanou and Ibrahim Barr, both worked hard to support their families in Canada and West Africa. Mamadou has two children while Ibrahim, a health insurance worker, is survived by his family that includes four children. Forty-four year-old Aboubaker Thabti was a pharmacy worker who has lived in Quebec for over a decade. His wife and two children mourn his loss, as do the families of all the victims. Times have changed. No longer do the masses feel outraged when senseless terrorist acts lead to mass murder -that is, when the victims are Muslims. Although heartbreaking, such crimes provide the opportunity for positive steps forward by uniting communities, encouraging spiritual and religious growth and strengthening self-reflection, and kindling bonds of friendship, tolerance, love and hope. Ultimately, these positives possess the power to overcome Islamophobia, hatred and ignorance, leaving in its wake a community that evolves for the better.